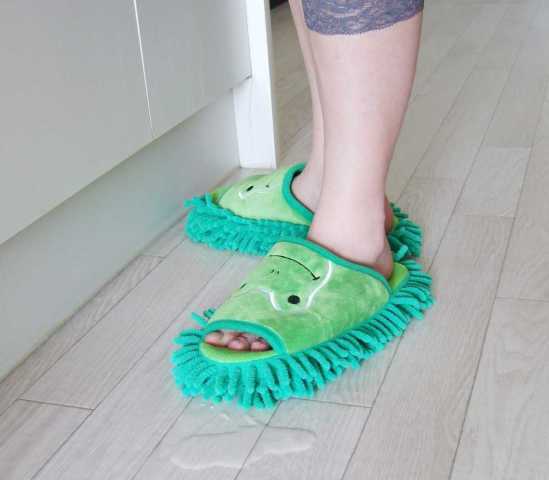 Designed with a frog face on top and a shaggy mop on the bottom, these cute yet functional Japanese imports are a kick to wear whether or not cleaning's on your to-do list. 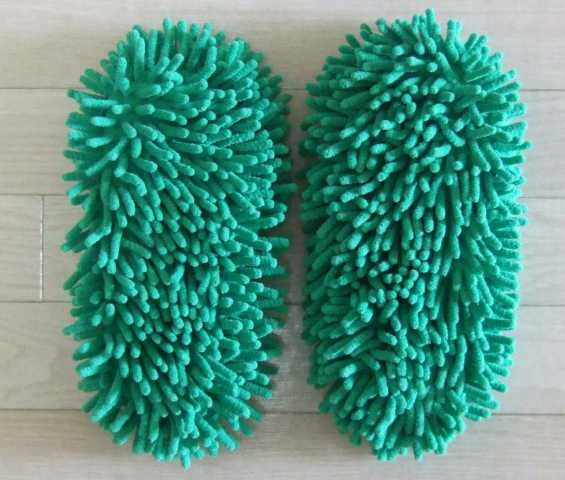 Currently featured at Amazon, these vivid green Frog Mop Slippers are by far the cutest of a series of mop slippers – the others are pink Pig and orange/yellow Bear. 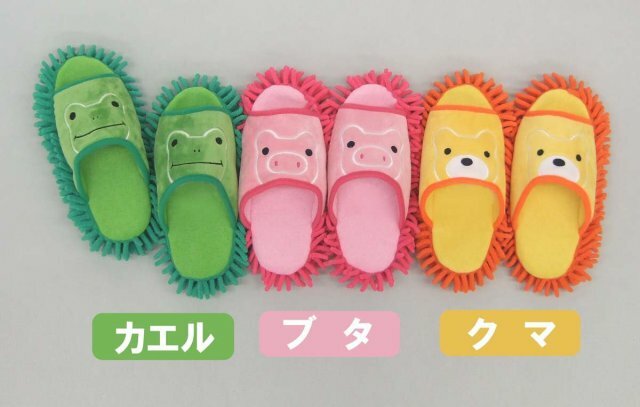 Sizing isn't stated so we'll assume that like many Japanese clothing and accessory items the slippers are “free size”, aka one size fits all.